Lots of goodies to feast your eyes on! Aside from being filthy rich, Scott Cawthon is the creator of the Five Nights at Freddy's series. 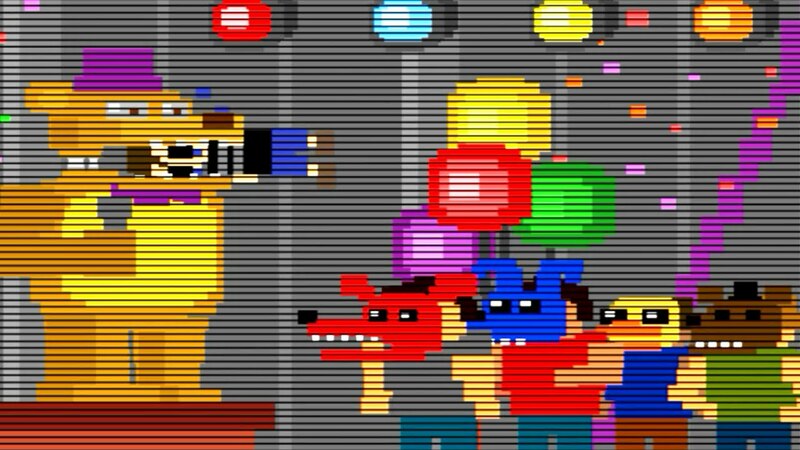 He's come forth with some news about what and when to expect for the special October 31st content fans who purchased Five Nights At Freddy's 4 will receive. Scott explained that the content will be an automatic update, adding extra goodies, a cheat menu, challenge menu, and other awesome stuff to look out for. He also mentioned the mystery that's been floating around on the internet: the locked box at the end of FNAF4. Apparently no one has found the pieces to open the box, and that makes Scott giggle. We'll see if and when the box opens up what's inside, but you know there's got to be one heck of a surprise when even the most diehard of fans haven't figured out the secret. Hey, it's like that part of Se7en when the, you know, the thing is in the box.